A warrant is on file for Quinton V. Tellis in a 2015 stabbing death. MONROE, La. (AP) - A man accused of slayings in two states will remain in custody upon early release from prison in Louisiana. The News-Star reports 30-year-old Quinton V. Tellis only needed to serve 35 percent of his 10-year sentence for using Ming-Chen Hsiao's debit card after her 2015 stabbing death, and is scheduled to be released Feb. 18. Ouachita Parish District Attorney Steve Tew says his office will use a detainer to return him to parish custody. Tew says a warrant is on file for Tellis on charges of first-degree murder in Hsiao's death, and he believes his office will proceed with the case. 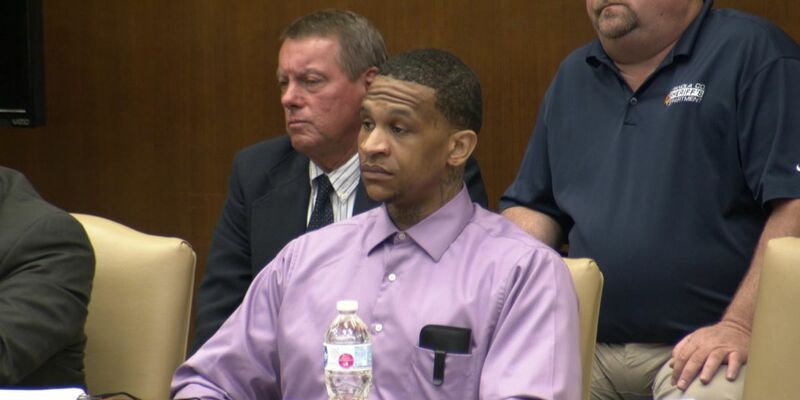 Tellis' Mississippi trial on capital murder charges in the 2014 burning death of Jessica Chambers ended in a mistrial in October. The report didn’t include comment from Tellis' defense.